I hereby acknowledge that I have read and understand Elite Cricket’s Terms and Conditions. Prices for private coaching session are subject change without prior notice. At their sole discretion, Elite Cricket staff and coaches reserve the right to restrict clients to a particular activity. Elite Crickets’ coaches are subject to change without notice. Elite Cricket reserves the right to change or cancel any sessions if necessary. In the unlikely event that a program is cancelled by Elite Cricket due to insufficient numbers, at minimum of 48 hours’ notice will be given and a refund or credit towards another program may be offered. 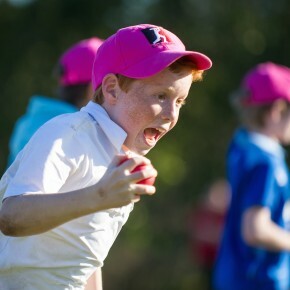 Elite Cricket’s 11 Session Package requires an up-front payment for the total value of the package. Booking and payment is to be completed prior to any Elite Cricket training sessions or programs. For cancellations more than 7 days prior to the commencement of an program or academy, a full refund, less a $20 administration fee, will be given. For cancellations less than 7 days prior to the commencement or that occur once a program or academy has commenced, except on production of a medical certificate, a refund will not be given. All cancellations are to be provided in writing and sent via email to admin@elitecricket.com.au with the outcome determined at the sole discretion of Elite Cricket staff. Production of medical certificates within 7 days from the commencement of a program or academy will warrant a credit for a future camp or private coaching sessions of the same value. Elite Cricket requires at least 48 notice should you need to cancel a private coaching session. The session fee will need to be paid to cover the missed or cancelled session. If your child has a medical condition you are strongly advised to seek a registered medical practitioner’s advice before booking. If your child has a medical condition and is unable to obtain clearance from a registered medical practitioner, then he/she cannot participate in our programs. In the event of any accident or illness, the parent/guardian authorises any medical assistance/hospital treatment that your child may require. You accept full responsibility for all expenses incurred. 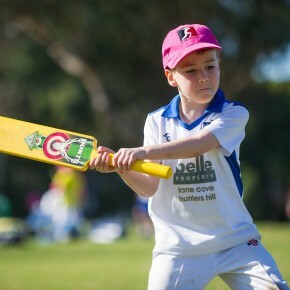 By enrolling your child/children, you declare that your child/children are fit to participate in all activities and consent to release Elite Cricket, the Director & all staff from any claim or liability arising directly or indirectly from the programmed activities. 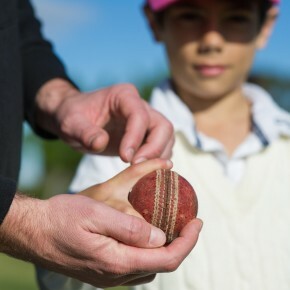 You also indemnify Elite Cricket against responsibility for any accident, loss, injury, illness or death suffered by your child/children during the course of these activities. If at any time the supervisor/coach considers your child is jeopardising the safety of others and/or disrupting the event then he/she may be asked to stop participating until further notice. 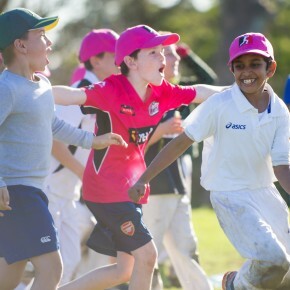 Elite Cricket staff will contact parents/guardians to provide a full report of the incident. Cancellation of an event due to wet weather is dependent on the location of the particular event. Please do not contact Elite Cricket as we will be in touch with you via the provided email address to notify you of any cancellations. If you do not hear from Elite Cricket, the event will run as normal. Most events are conducted in the rain unless the venue is not suitable or safe for play, in which case is judged by Elite Cricket Staff. Where an event is located with the option of indoor facilities, the event will not be cancelled. Private coaching sessions are conducted indoors so are unaffected by weather. In the event of weather conditions preventing program day(s) from occurring, fees lost due to only those particular days affected will be transferred to the next available clinic you can attend. Children will receive information on importance of being sensible in hot weather. Activity intensity will be reduced. Sessions will be limited to a maximum of 45 minutes. Drink breaks will be more frequent. Children at any time can rest or have a drinks break when needed. During rostered breaks children will be asked to rest & there is to be no activity during this time. Program Leader will communicate with group coaches about any children affected by heat. Water and sports drink (such as Gatorade or Powerade) will be supplied for children to refill drink bottles. Ensuring their child is hydrated properly the night before the first day of a program. Ensuring their child has a hat. Ensuring their child has sunscreen on. Not sending your child is he/she is sick. Ensuring their child has a drink bottle. Ensuring their child hydrates every other night during the program. Elite Cricket staff may take photos on the day for promotional marketing purposes and media publications relating solely to Elite Cricket. Photos/images will not be provided to third parties and only first names will be attached to any photo of a child. Unless specified otherwise upon registration, Elite Cricket reserves the right to use their content for advertising purposes. 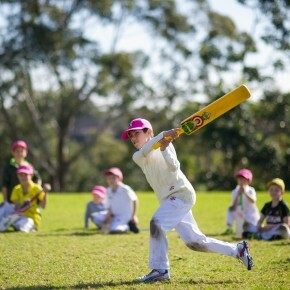 All Elite Cricket programs have been designed to ensure the safety of all participants. It is your responsibility for your child to arrive in time for the commencement of the event. A warm up is a vital component prior to physical exercise. You understand that you are responsible for the transportation of your child to and from Elite Cricket’s various programs and the supervision before the commencement of the event and after the conclusion. 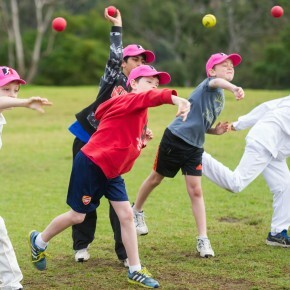 Elite Cricket aims to only host nut-free events. In the interests of all involved in this event, please ensure that products containing nuts are not brought on the day/s your child will be attending. This ensures the safely of all the kids. Whilst Elite Cricket staff will endeavor to ensure the event is nut-free, this cannot be guaranteed. Those who suffer from nut, or any other type of allergies, are advised to bring any medical treatment required in the event of an emergency and that a parent/guardian inform Elite Cricket staff on its procedure, dosage and/or use. Elite Cricket will not be held responsible for the loss or damage of any property. By completing any registration forms online, you give your consent that you have read this document in its entirety, understand and accept all terms and conditions and code of conduct. Any form of booking and/or participating in an Elite Cricket program, including submitting the online booking forms or booking a private coaching session online, is classed as consent. 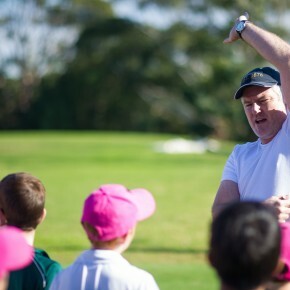 Develop high quality, child friendly programs that appropriately cater for the needs of the children involved. 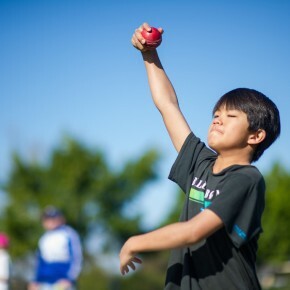 Provide safe equipment for participants to use that are regularly checked. 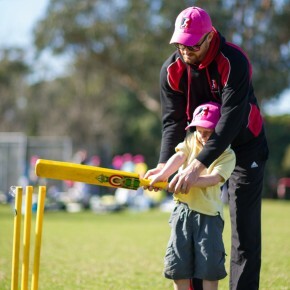 Ensure that all employees and volunteers have been checked and supplied Elite Cricket with a Working with Children clearance number. Provide an environment that is free from bullying and harassment and if bullying and/or harassment are recognised, all efforts will be made to appropriately manage the situation. If necessary, first aid is applied to any participant that requires it. Ensure that all participants partake in a way that enables the enjoyment of all involved. Elite Cricket’s rules and regulations in regards to activity and safety rules are adhered to. This will ensure the safety and wellbeing of all involved. Payments are made when required and terms and conditions are accepted prior to participation. All copyright in the text, images, photographs, graphics, user interface, and other content provided on this website and the mobile version of this website (“the Website”), and the selection, coordination, and arrangement of such content, are owned by Elite Cricket, to the full extent provided under Australian copyright laws and all international copyright laws. The Website and the information contained in it are for informational purposes only. Any reproduction, copying, or redistribution for commercial purposes of any materials or design elements of the site is strictly prohibited without Elite Cricket’s prior written consent. Systematic retrieval of data or other content from the Website to create or compile, directly or indirectly, a collection, compilation, database or directory without prior written permission from Elite Cricket is prohibited. The links to third party websites that are contained within this Website are provided only for your convenience. Elite Cricket does not endorse those third party websites or any of the products or services offered on or through them. You access those third party websites and use the products and services offered on or through them at your own risk. Elite Cricket welcomes other website managers and administrators using the Elite Cricket logo as a link from their site to the www.elitecricket.com.au home page. undertake any conduct that, in Elite Cricket’s sole discretion, restricts or inhibits any other user from using or enjoying the Website. You will indemnify Elite Cricket, its employees, agents and representatives from any loss or damage including consequential loss or damage which may arise from the posting or deletion of your submitted content or from any breach by you of these terms or from your use of the Website. If you have questions or concerns regarding this statement, you should first contact Jason Krejza at jason@elitecricket.com.au. In order to use the Elite Cricket website, we may require information from you in order to provide the best service possible. Any information collected by Elite Cricket is collected via correspondence from you or your company. This may be via the telephone, Email, mail, fax or directly through our website. Any details collected from Elite Cricket customers is required in order to provide you with our products and/or services, and a high level of customer service. Correspondence is recorded in order to provide service references, and to assist in our staff development. Elite Cricket uses personally identifiable information for essential communications, such as Emails, accounts information, and critical service details. We may also use this information for other purposes, including some promotional Emails. If at any time a customer wishes not to receive such correspondence, they can request to be removed from any mailing lists by emailing us at admin@elitecricket.com.au. Elite Cricket may at its discretion use other third parties to provide essential services on our site or for our business processes. We may share your details as necessary for the third party to provide that service. These third parties are prohibited from using your personally identifiable information for any other purpose. Elite Cricket does not share any information with third parties for any unknown or unrelated uses. Elite Cricket uses the eWAY Payment Gateway for its online credit card transactions. eWAY processes online credit card transactions for thousands of Australian merchants, providing a safe and secure means of collecting payments via the Internet. All online credit card transactions performed on this site using the eWAY gateway are secured payments. eWAY at no time touches your funds; all monies are directly transferred from your credit card to the merchant account held by Elite Cricket. After registering/booking and paying online, you will receive an email confirmation from eWAY containing your purchase details (if you have provided your email address). We will normally confirm receipt of your purchase within a few minutes of ordering.